According to the Institute of Traditional Medicine, the lichen—also known as “old man’s beard” because of its hairy appearance—has been used for hundreds of years as a healing compound in Native American, Chinese, and European medicine. Today, you can find usnic acid (basically the active ingredient in usnea that’s largely responsible for its purported benefits) in toothpastes, mouthwashes, sunscreens, and deodorant. Are there any potential usnea benefits? Real talk: There’s not a ton of concrete research out there on usnea or usnic acid. 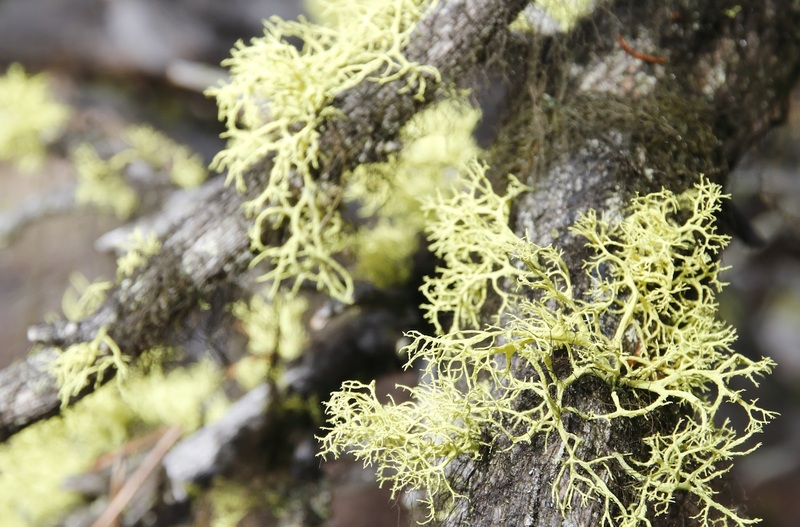 The one benefit that’s generally agreed upon are usnea’s antibacterial properties. Usnic acid shows up in a lot of hygiene products because it has been shown to slow and prevent the growth of certain kinds of bacteria and fungi. A 2005 in vitro study also showed that the acid has some antioxidant potential, too. Take that with a grain of salt—the study wasn’t done on live subjects so it’s unclear how this would affect the human body. The whole antibacterial thing likely is part of the reason why the lichen has a traditional rep (and usage) as a cold-fighter. It also contains mucilage, which—stay with me—is a slimy, gooey substance that can help ease irritating coughs and sore throats. (Kind of like another herb, slippery elm.) However, per the Memorial Sloan Kettering Cancer Center, usnic acid’s other traditional uses of warding off fever and relieving pain are not currently backed by any research. Usnic acid may also have some antiviral properties. In one clinical study, patients with HPV who received a usnic acid and zinc treatment intervaginally along with radiosurgery seemed to heal better, and with reduced risk of recurrence. However, it was a small study, and doesn’t provide enough evidence that it could treat HPV on its own (or any other viral infection, for that matter). Are there any risks to taking products with usnea or usnic acid? In a word, yes. Steer clear of any weight loss supplements with usnea or usnic acid on the label—high doses of usnic acid (450 mg a day in one case study) in supplements promoting weight loss has been associated with severe liver toxicity, meaning that it can inflame and damage the liver. One woman took usnic acid supplements for just 17 days and sustained damage so serious that she had to have a liver transplant. So if you’re thinking about taking a supplement or tincture that has usnic acid in it, be sure to talk to your doctor or other qualified practitioner first about the risks—and to ensure it wouldn’t interact poorly with any medications you’re taking. That doesn’t meant that you should freak if you see it on the label of your deodorant or toothpaste. Usnea and its derivatives are generally considered safe for topical use. However, some people can be allergic to lichen; if a person notices skin irritation while using a product with usnic acid in it, they should stop using it right away and talk to their doctor. According to the American Herbal Council, a qualified herbalist may decide to prescribe usnea to help a patient fight off a cold or an infection. However, given the risks, it’s probably not something a person should DIY. The more you know! As spring approaches, you might want to think about swapping some of your vitamins. Here’s our guide to changing up your routine for the warmer seasons. ICYMI, there is a right time to take your vitamins. Wait, people slathering kombucha scoby on their face has to be peak wellness, right?